Cop’s (probably) sarcastic answer to a white woman he had stopped refusing to reach in her glove compartment for fear of getting shot lands him in hot water. In these heightened times of racial animosity driven by the white-wing, even an attempt at gallows humor may go wrong. 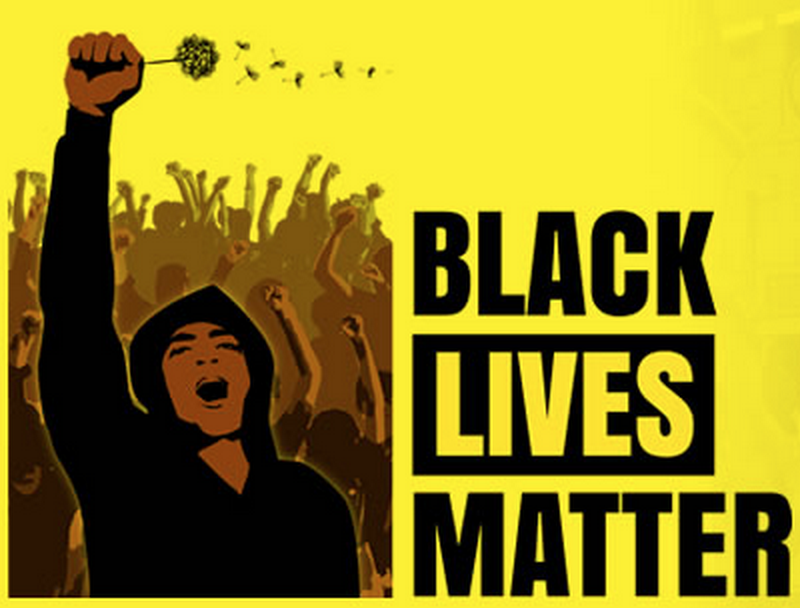 What the controversy shows is that the white live matter efforts by some Police Unions and supporters is eroding the trust in the Police nationwide. Reported this yesterday. A Gwinnett County, Georgia Policeman stomping the face of a suspect, as he lay handcuffed on the ground. Turns out he wasn’t the only officer to abuse this man. Kudos to the Police Chief Butch Ayers for reacting to these crime decisively, and not with the cover ups like we have seen in places like Fergeson, Mo. Chief Ayers decision to fire the Officers involved makes a statement, not only to his Officers, but to the community as a whole, that there is no justification for illicit actions. Two Georgia police officers were fired Thursday, a day after authorities say one punched a man who had his hands up and the other kicked the man in the head once he was handcuffed on the ground. The Gwinnett County Police Department said Thursday afternoon that Master Police Officer Robert McDonald violated department policy and the law. Video showed McDonald assaulting the handcuffed man, identified as Demetrius Bryan Hollins, while assisting a supervisor who had called for backup during a traffic stop about 4 p.m. Wednesday, police said. Several hours later, police said that supervisor, Sgt. Michael Bongiovanni, had also been fired after a second video surfaced of him punching Hollins in the face as Hollins put his hands in the air. The department also has opened criminal investigations into the behavior of the two officers. The results will be turned over to the county district attorney, who will decide whether to prosecute them. McDonald was hired by the department in August 2013 and graduated from the police academy in March 2014, while Bongiovanni was hired in September 1998 and graduated from the academy in February 1999. No working number could be found for McDonald, and the voicemail at a number listed for Bongiovanni was full. It wasn’t immediately clear whether either man had an attorney who could comment. Bongiovanni pulled Hollins over in Lawrenceville, just outside Atlanta, police said. Video filmed by a witness shows Bongiovanni punching Hollins as Hollins stands with his hands up after getting out of the car, police said. The other video shows Bongiovanni appearing to yell at a handcuffed man who then lies face-down in a left-turn lane of the busy intersection. McDonald runs up and immediately appears to stomp on the man’s head before both officers eventually pull him to his feet. Hollins, 21, appears to have blood on his nose and lip in his booking photo. The shift commander initiated an “immediate investigation” and placed McDonald on administrative leave after Hollins’ arrest. Hollins was driving a red Acura Integra with no license plate and a brake light that didn’t work, and switched lanes three times without signaling, according to an incident report filed by Bongiovanni. Hollins yelled and began to “act strange,” and based on that and the officer’s recollection of Hollins’ behavior during a previous arrest in August, Bongiovanni called for backup, the report says. Hollins yelled and refused to obey orders when Bongiovanni ordered him out of the car and resisted when Bongiovanni tried to arrest him, the report says. There is no mention of Bongiovanni hitting Hollins. The report mentions McDonald arriving after Bongiovanni had used his stun gun on Hollins and gotten him handcuffed on the ground. It doesn’t mention any contact between McDonald and Hollins. The two officers are white and Hollins appears to be black, police Cpl. Michele Pihera said in an email. Jail records show Hollins faces charges of driving with a suspended or revoked license, operating a vehicle with a suspended or revoked registration, failure to signal, having a brake light that’s not in good repair, obstructing a law enforcement officer and having less than an ounce of marijuana. He was released on bond Thursday afternoon. “All I could say is, I wish this never happened to me,” he remarked to reporters, including one from WGCL. Police released McDonald’s personnel file Thursday, and Bongiovanni’s was to be released. 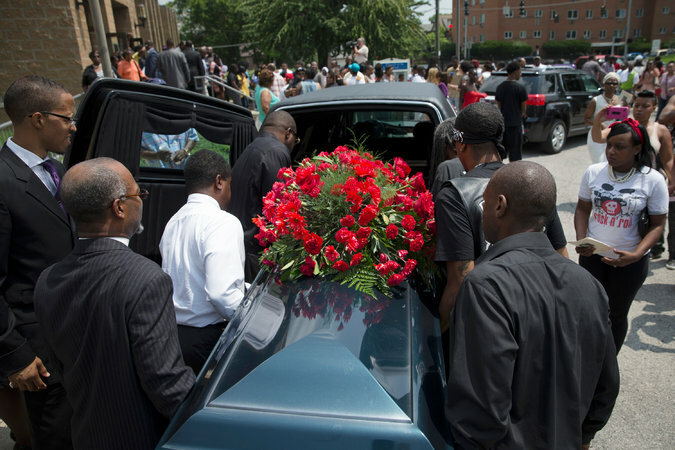 The funeral for Samuel Dubose at the Church of the Living God in Cincinnati on Tuesday. A University of Cincinnati police officer was indicted Wednesday on a charge of murder for fatally shooting an unarmed black man during a traffic stop earlier this month. “It was so unnecessary for this to occur,” Joe Deters, the Hamilton County prosecutor, said at a news conference Wednesday. Sam Dubose, 43, was shot and killed during a July 19 traffic stop by Officer Ray Tensing. The officer initially said he was dragged by Dubose’s car, leading to the shooting. Deters said that Dubose “was subdued,” adding that Tensing had his license plate number. “This office has probably reviewed upwards of hundreds of police shootings, and this is the first time that we’ve thought this is without question a murder,” he said. While a university police report stated that Tensing said he had been dragged by the car before shooting, Deters said that the officer not dragged. Rather, Tensing fell backwards after shooting Dubose in the head, Deters said. Deters called the situation “a pretty chicken-crap stop” and a “senseless, asinine” shooting. He also said that if Dubose began to leave, the officer should have just let him go rather than shoot him in the head. An arrest warrant had been issued for Tensing, the prosecutor said. Just released Body Cam video shows officer shooting DuBose as he pulls away in his car. Sandra Bland died in police custody this past Monday. Visiting Texas from Chicago to interview for a college job at her alma mater of Prairie View A&M, she was pulled over for a routine traffic violation (failure to use her turn signal). Everything from that point forward screams racism and foul play, including her death in the Waller County jail Monday. The first red flag is that Bland was officially arrested on Friday for assaulting a police officer. What we see from a bystander video is her telling the officers she is in pain and cannot hear after her head was slammed on the ground by the male arresting officer. The video is below. Council members are reviewing video of four arrests and detentions over the past month. The officers and police chief, who are the targets of the complaints, are white. Some residents are calling for a third of the city’s 15 person police force to be suspended, disciplined, or fired. Allegations of racism have led to the Hempstead police chief being suspended and ordered to take anger management classes. The Hempstead city council has been reviewing the case since last week and finally came to a decision at around 2am Tuesday. A number of residents have come forward with claims of racism by at least four white police officers. The council reviewed the complaints, along with videotapes before making their decision to punish Chief Glen Smith. Some say it wasn’t enough. The chief says he respects the decision. “My action during the arrest did not meet professionalism as it should with language and I’m not above policy and procedure, no more than any officer of this city,” said Chief Smith. It would seem that once a law enforcement officer—a chief of police no less—is suspended and then fired for racism and abuse, his ability to serve in law enforcement would cease. A trooper who pulled over and later arrested a woman found dead in her jail cell was put on desk duty Friday for violating procedures, the Texas Department of Public Safety said. 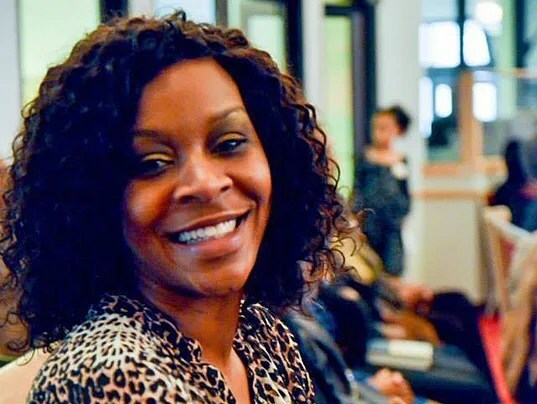 Sandra Bland, 28, was arrested July 10, and after spending the weekend in the Waller County jail, she was found hanged in her cell Monday. Harris County’s medical examiner said the death was a suicide, but Bland’s family disputes the finding. The FBI has joined the Texas Rangers in investigating the circumstances surrounding her death. The state Public Safety Department and Waller County district attorney have requested that the FBI conduct a forensic analysis on video footage from the incident. “It appears she had used a trash bag to hang herself from a partition in the ceiling, which was used to give inmates privacy,” said Mathis, who also said Bland seems to have been the only female incarcerated in the jail at the time. The Texas Commission on Jail Standards cited Waller County jail Thursday for not properly monitoring inmates but wouldn’t say whether its citation is related to Bland’s death. All inmates must be observed once every 60 minutes, and any inmate deemed suicidal must be observed in person every 30 minutes, Executive Director Brandon Wood said. Smith said Thursday that jailers used an intercom to check on Bland less than an hour before she was found dead. Sandra was arrested after being stopped for not properly signalling a lane change – a standard DWB harassment scenario. In the arrest video, she is heard telling the Officers that they had slammed her head to the ground so hard, she couldn’t hear, which would seem to be good reason to have her checked out by a Medical Professional, prior to incarcerating her. In another video being circulated she can be heard telling the Officer to “keep his %**& hands off of her”. Which raises the question of why, for a minor traffic stop, which should have at worst, wound up in a ticket…Was the cop manhandling her? Think the International Court should step in on this one and try this scumbag cop at the Hague! Worse than Waterboarding - Forced to Listen to Drugbo! Talk about your Monday from hell. Not only did Bridgett Nickerson Boyd’s car break down on her way to work, but when she pulled over to the side of the freeway, a sheriff’s deputy named Mark Goad pulled behind her, wrote her a ticket for driving on the shoulder, decided to arrest her, followed her to the hospital when her suddenly racing heart prompted a call to paramedics, then took her into custody again after she was treated by doctors and finally drove her to jail. To make matters worse, Boyd claims in a lawsuit that the handcuffs were put on her wrists painfully tight – she claims she explained to the officer she had just had surgery on her hand – and that she was forced to listen to Rush Limbaugh “make derogatory comments about black people” all the way to the jail. Boyd is African-American. Because of the incident, which occurred on Oct. 4, 2010, Boyd filed a federal lawsuit Monday against Goad and Harris County alleging defamation, false imprisonment, malicious prosecution, assault and battery, and intentional infliction of emotional distress. ”Deputy Goad was aware that Boyd had not committed a crime and her arrest was without probable cause,” according to the lawsuit filed in Houston. The magistrate who saw her while jailed apparently agreed and dismissed all charges. A spokesman for Sheriff Adrian Garcia declined to comment on the lawsuit. Boyd’s attorney, Troy Pradia, said she had never been in legal trouble and thought the deputy had pulled up behind her car to help her. She had moved to the shoulder along Beltway 8 near U.S. 288 after her engine started smoking. Pradia added that he and Boyd, who works in a bank, had hoped the matter would be settled by the sheriff’s department after she filed a complaint about Goad’s actions. Pradia said that Boyd had signed the ticket and pointed as much out to the deputy, but that he chose to arrest her regardless. Posted by btx3 on October 10, 2011 in Nawwwwww!